I've added a little poll feature to my blog, and I'm hoping you can give me some input. So, I've created a little poll to ask your opinion about the most common information requests I receive here at QuiltingBusiness.com. You can choose up to three answers, but please only choose the answers that interest you (i.e. if you are only interested in one of the choices, please choose just the one). I'll let you know in about a week what the results of the poll are, and what I can do to help answer some questions. What I'd like to do is tailor my comment to the interests of the Quilting Business community, so your input is most certainly appreciated.NOTE: If you choose, the “Other” option, please post your other ideas as a Comment. All you need to do is click on the little “Comments” link next to the word bubble right below the title of this post.Thanks for your help. Hi! I would choose marketing tips and tricks i this case from poll. I would like to get ideas on making quilts for children. They need to be simple. The size if 45″ x 60″. We have delivered over 1,000 and are making another 1,000 for World Vision. I have hand quilted for others since 1980. I have always had a backlog of quilts. Now, due to machine quilters, I have found my business of hand quilting really waning. I charge such little fees, I cannot go any lower. Most quilts I do are between $90 and $100, and that is inclucing binding. So,,, do I advertise? I have never needed to advertise before. If I advertise, will I need to raise my rates? any way. just an outlook of recent trends. I do long arm quilting for those quilters who have pieced their tops. Have a large number of plain as well as varigated threads. I also carry wide backings and batting on the roll. I WOULD LIKE TO HEAR FROM YOU ON HOW WEB SITES CAN HELP ME SELL QUILTED ITEMS. I also have a longarm, but can’t seem to get any business…either by ebay or my website. any advice?? I need helpful ideas because I am going to buy out a small quilt shop. I am starting a long arm quilting studio where quilters can finish their tops by renting my machine or I will quilt it for them. I need advice on how to set the prices, by the inch, the complexity of design, or ????. Also marketing and advertizing help would be good. I just found out that a fellow longarm quilter, has soo much work , she backed up for months, 10 miles away, I have only a handful. How do I get my name out there?? I am interested in trying to sell the quilts I make .I find people are not to willing to pay the asking price. I am interested in finding a niche for smaller quilts, either baby quilts, wall hangings, doll quilts, minitures, etc. I work full time and want to segue into a quilt business. Any suggestions? Like many of the others who have commented already, I’m looking to increase my long-arm quilting and custom quilting business. 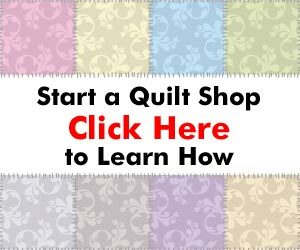 I advertise with the quilt guild I’m a member of and have given information about my business to all the quilt shops within a 25 mile radius. I find that a log of women in California are now buying their own long-arm quilting machines and doing the work themselves. Any ideas? I already filled out the poll, but after I did so, I thought maybe I would be interested in how to blog for my website. I think blogging is something that I may want to further investigate. How I got my name out there for longarm quilting is to have cards made up and take to all quilt shops in your area. Take samples of your work to show the employees and the owners. Also, if it is possible, work one or two days a week at a quilt store to get your name out and meet customers. I had to move from one state to another and my business didn’t take nearly as long to get restarted as I thought it would. I tried to work into conversations that I was a longarm quilter and that definitely helped. Well i work for New York Life now and haven’t had time to do anything else. But if you could hook me up with Mary Lou Rounds I’d like to get my kingsize Lonestar hand-quilted! I think some designs are just better done by hand. The Amish charge by length of thread used. I have tried to sell my quilts on ‘Craigs List’ but had no luck. No-one is willing to pay for yout time or for quality work. Any ideas from anyone??? It’s very frustrating as I use only the best fabrics and everything els but alas…no bites. I have filled out the poll. I have orders for baby/lap quilts…I use the tie method on these and do quite well..
I’m wanting to take it farther,and have looked into a website…Any advice on marketing? I’d like advice on finding fabrics wholesale. but would like more,with a variety to choose from..
I’d appreciate learning about how to get started showing,and/or marketing art quilts?